In 1864 the Fell Dales Association for the Improvement of Herdwick Sheep was created and held its first show at the Woolpack Inn in Eskdale. While it became the largest gathering of Herdwick sheep for sale or hire, it emphasised the requirement for hardy sheep that were fit for purpose and a life on the fells. Rules were created and no field fed sheep were allowed to compete for prizes! 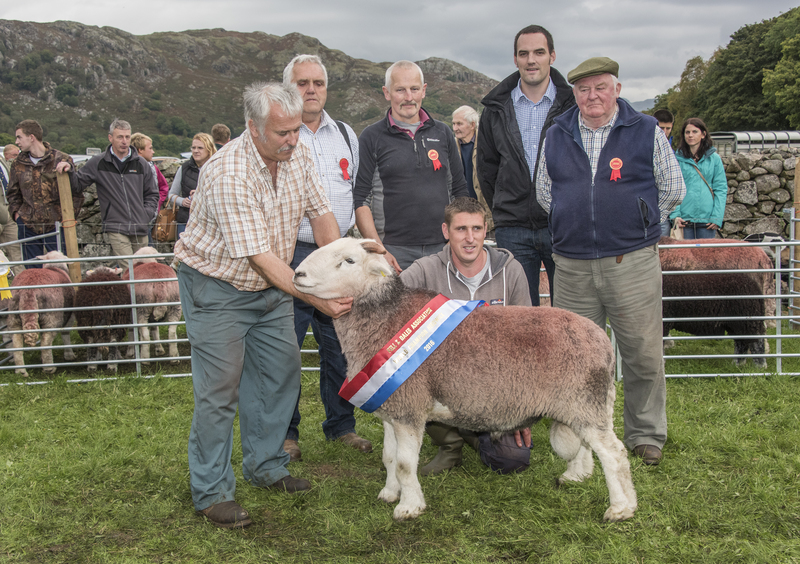 “Eshd’l Show” is still held on the last Saturday of September and is recognised as The Herdwick show. It was at the Fell Dales Show in 1916, where individual farms each exhibited up to 60 rams in certain classes, the Herdwick shepherds decided that there was a need to improve the breed standard and create a flock book. These founding fathers formed the Herdwick Sheep Breeders Association. At this special show all the Herdwick judges will be shepherdesses and there will be special classes for young handlers. 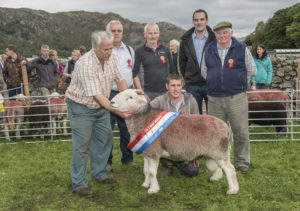 Come and see the award for the World Champion Herdwick!